That familiar itch you get after shaving is when you know that something went wrong. We sometimes to refer to it as razor burn because of the burning feeling the itch causes. There is absolutely no reason you need to go through your day with this discomfort. If you are relying on the excuse of dry or sensitive skin – stop. That’s not a valid reason! Below we are going to outline all the popular reasons why your skin is feeling itchy after shaving. Of course, we aren’t going to stop there! 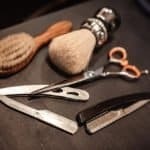 Instead, we are going to tell the exact steps that your barber takes in order to deliver that incredibly close and comfortable shave time and time again – all without a dreaded itch or irritation at the end. One of the main reasons we are plagued with itchy skin after shaving is because of dry skin. When you’re shaving, you are literally taking a razor blade across your skin. This is a deep exfoliation that removes rough and dead skin cells along with your hair. This heavy exfoliation can be taxing on men with sensitive skin. 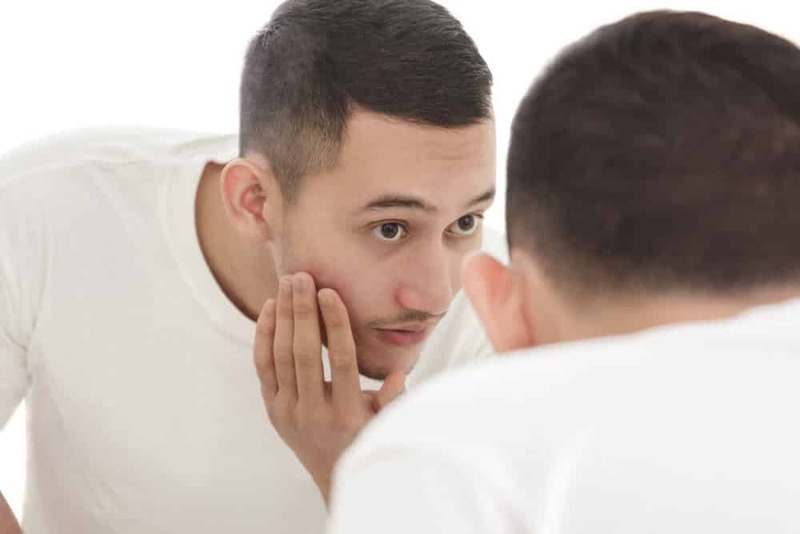 If you’re shaving everyday, you could be making your skin cry out for help. 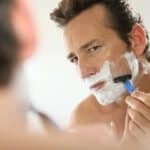 An everyday shave can cause your skin to dry out and start to flake, especially if you aren’t doing anything to that vulnerable skin before and after you shave. To help prevent a flaky scalp or ashy cheeks, try taking breaks between shavings. Start shaving every other day to help your skin naturally repair itself in between shaving sessions. If you absolutely can’t live with your five o’clock shadow for a day, make sure you are using a proper shave cream. 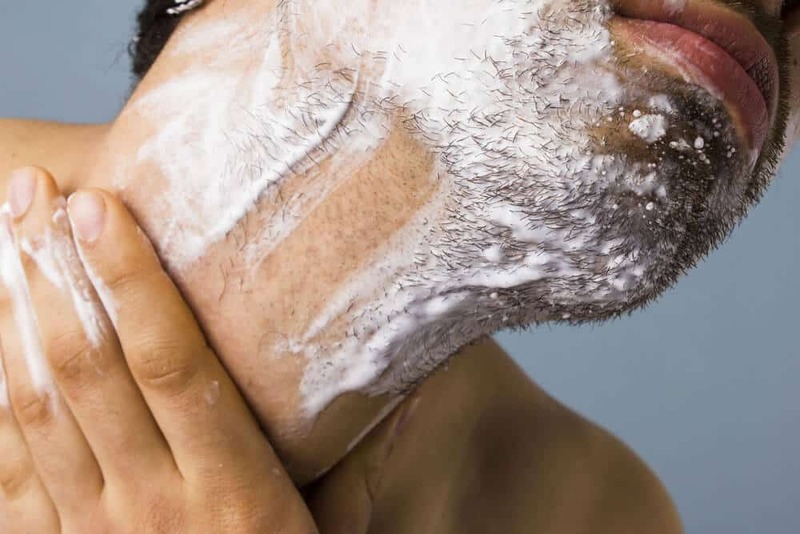 If you’re still using a drugstore shave cream, stop right now. Go to your bathroom, grab that shave cream, and throw it in the garbage! 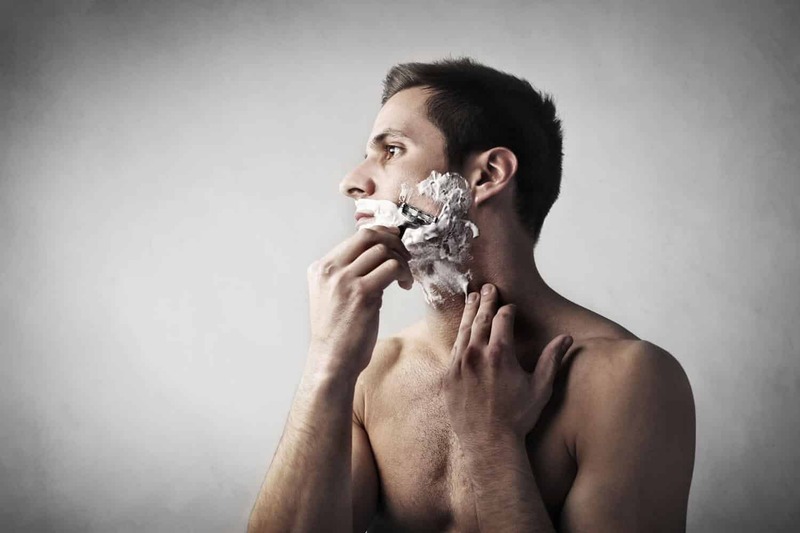 Drugstore shave cream contains all types of artificial ingredients that can irritate your skin and make shaving worse. Grab a quality shave cream that is full of humectants and natural moisturizers. This will ensure that your skin is properly moisturized while you are shaving. The last step in preventing dry skin is helping your face to repair itself. Your shave shouldn’t end with a towel drying your face! The skin needs a rich moisturizer to help repair itself and keep from drying out. An aftershave will help close your pores to prevent protection and deeply moisturize your skin. However, not all aftershaves are created equal! Ditch the splash, which contains high levels of alcohol, and go for an aftershave balm. A top-notch aftershave balm contains gentle witch hazel and a rich lather of moisturizer to keep your skin smooth as a baby’s bottom. If you think only ladies can have sensitive skin, you’re wrong! 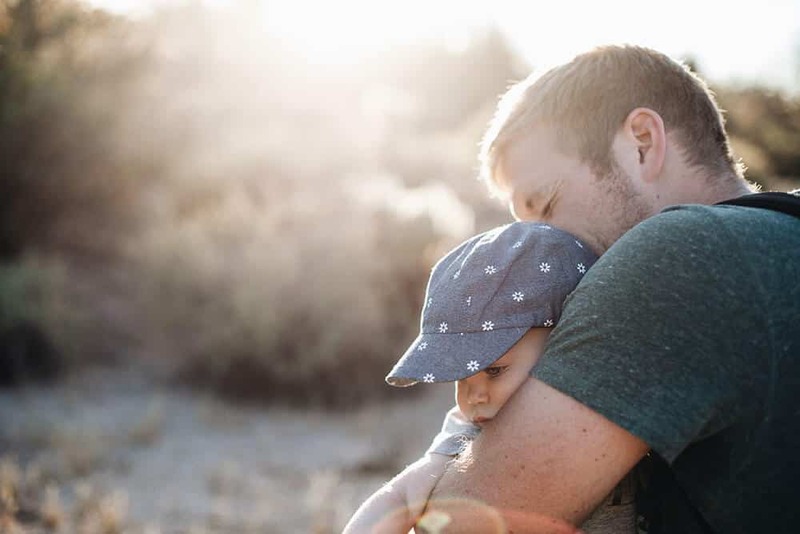 While us men might have more rugged skin, harsh chemicals can still cause sensitivity, especially on our face. When our faces get irritated, they can start out dry and itchy but then turn into a rash. One of the first signs of sensitivity is a red or blotchy face post-shave. Most times, this means that there is an ingredient in our shaving cream that just doesn’t agree with us. This means it’s time for a new shaving cream. But, don’t just grab the first can of shave cream you see from the grocery store shelf. Many of the shave cream products in grocery stores are filled with the same artificial ingredients that originally caused your face to react. Instead, grab a shave cream that is made with all natural ingredients. Not only will this be better for you, the natural ingredients are also going to be gentler on your skin and less likely to cause an allergic reaction. You can find high quality shave creams online or in shaving stores. We all know the feeling of shaving with a dull razor. It doesn’t get the job done efficiently and right after that shave we feel the slight burning and tingling on our face. That’s when we know that razor burn is setting in. 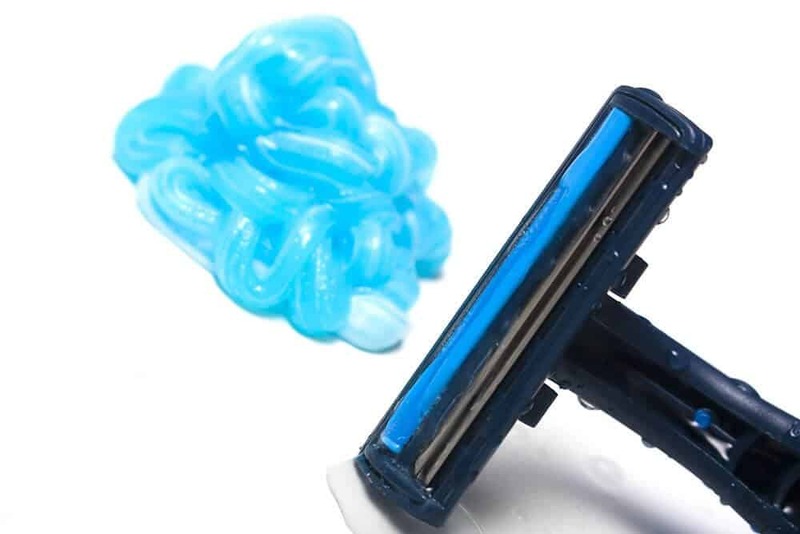 Why would you keep shaving with a dull razor? 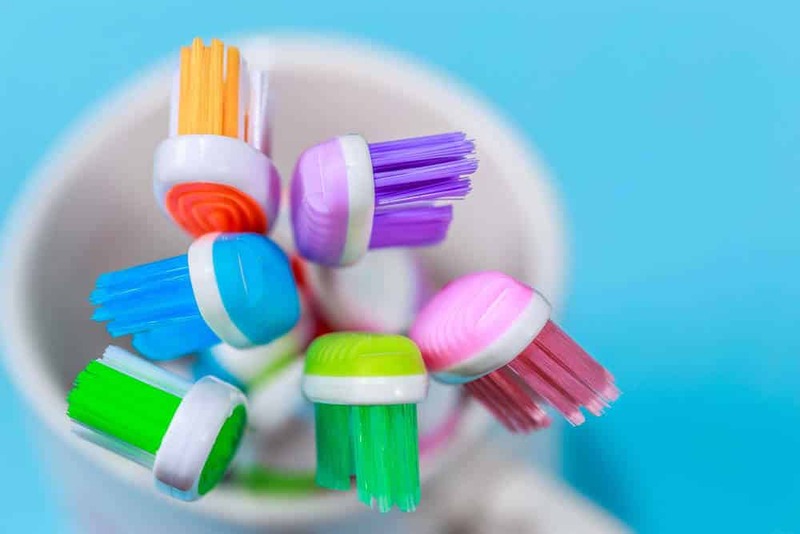 It takes multiple strokes to get one patch of hair and it irritates our skin! Usually we keep a razor longer than needed because we keep forgetting to pick up a new one or we don’t want to spend the money. Well, no longer are you allowed to say that the cost of razors stops you from changing it as often as you need to! If you’re still stuck on cartridge razors, Dollar Shave Club or Harry’s are great subscription services that allow you to regularly get new razors for pennies on the dollar. They also come straight to your door so you don’t have to remember to pick up new razors at the store. But, our all-time favorite affordable option is the humble safety razor. Safety razors are cheap but quality, and give you the best shave possible. The best part about safety razors is that the blades cost a fraction of the price of even subscription shave clubs. Therefore, you won’t break the bank when you reach for a fresh blade. 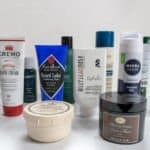 The products you use on your face are extremely important to stop the post-shave itch. You’re conscious of what you eat, drink, and put in your body, so why not be conscious of what you’re putting on your body as well? With skin as our largest organ, it absorbs everything we put on it. Because of this, the ingredients in our shave cream and aftershave matter. 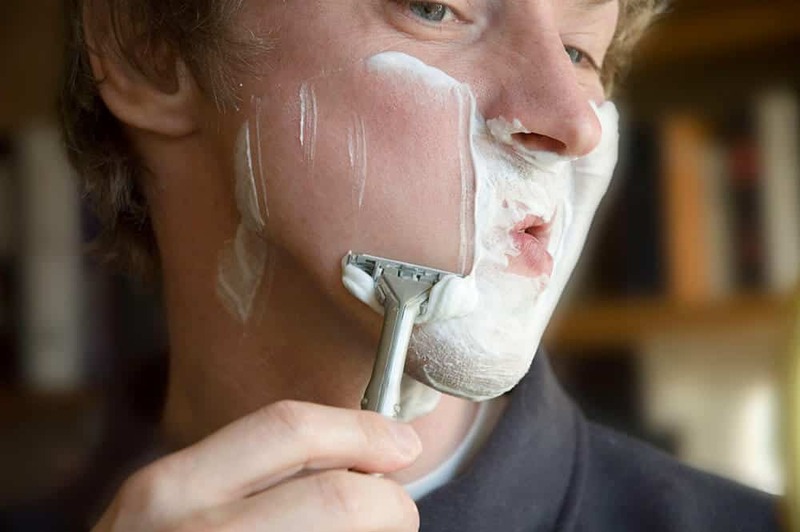 Shave creams and aftershaves can often contain alcohol, which can hurt your skin more than it will help. Alcohol dries out your skin and leaves it begging for moisture that your cream and aftershave won’t provide. To prevent this, start reading the labels on your facial products. If you are using drugstore shave cream and aftershave splash or lotion, throw them in the trash and start fresh! The ingredients in these items won’t be beneficial to your skin. Look for a shave cream that contains a moisturizer and no alcohol. This will help protect your skin from drying out while you shave. But just because your shave cream has a moisturizer, doesn’t mean you can skip the aftershave. Aftershave is still important to help close your pores from infection. Look for an aftershave balm with a heavy moisturizer to create a barrier from everyday elements. Using a shave cream and aftershave with natural ingredients will ensure that your skin stays smooth and flake free. We love safety razors, that’s no surprise! But, we also hear a lot of people ditching their safety razor soon after purchasing it. They often say that the safety razor is uncomfortable or it hurt their skin more than their cartridge razor. This can be true when a poor technique is in place. There’s definitely a learning curve when you switch from a cartridge razor to a safety razor. Cartridge razors adjust the shaving angle for you, which make them easy to use. Safety razors leave the shaving angle to YOUR discretion. With a safety razor, the angle of the blade is everything. To create an optimal cutting angle you want it to be at around 30 degrees. If you have too shallow or too deep of a cutting angle it will cause severe discomfort to your skin. 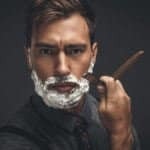 Thankfully, with the Internet today, there are tons of tutorials you can watch to help you perfect the safety razor technique. If you are still practicing with your safety razor, just use it to shave your cheeks. This will be the easiest part of your face to learn to shave and an improper angle will cause the least discomfort in this area. 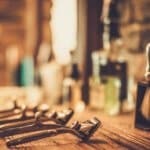 Once you perfect your technique, we promise you’ll never choose a cartridge razor over a safety razor again! You probably learned how to shave fairly young. We start to grow hair in our adolescence and you’ve been shaving ever since. Well what if we told you you’re probably shaving wrong? While learning how to shave from your dad or favorite YouTuber was most likely a helpful start, chances are their hair growth is different from yours. When you are shaving, your hair growth pattern is extremely important. If you are consistently going against the grain, this will cause ingrown hairs and razor burn. Nobody wants the unsightly raised red bumps that come from razor burn and ingrown hairs. 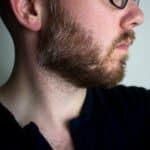 When you are shaving you want to go with the grain of hair on the first pass and after that you can go against the grain if, and only if, you are using a safety razor. Never go against the grain of hair with a cartridge razor! Can you tell us which direction your hair grows? Most men don’t know off the top of their head. Take a minute to look at the natural growth pattern of your hair and memorize it. If your hair grows in a downward pattern from your cheek, then you should be shaving in a downward manner. Shaving with the grain of your hair will increase the comfort for your skin and help prevent cuts and ingrown hairs. 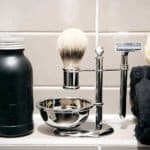 Shaving with a safety razor will let you shave with the grain of your hair and then catch the few stray hairs that may grow in a different pattern without harming your skin. If you follow all of these tips, you can say goodbye to post-shave itch. That’s company we won’t be missing!